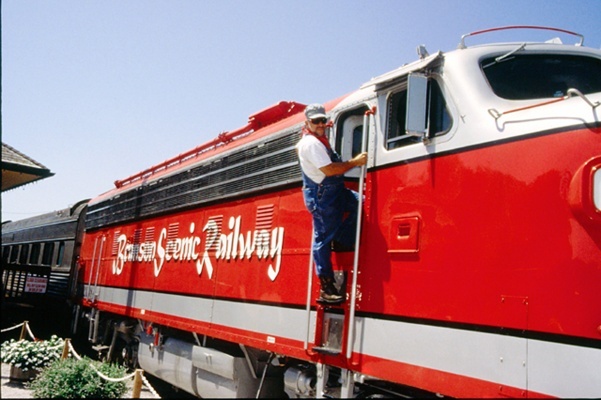 “Branson Scenic Railway” lets you experience the beauty of the Ozarks aboard a vintage passenger train! With unique cars dating from the late 1930’s to the early 1960’s, there is no other attraction in Branson that lets you step back in time in quite the same way! 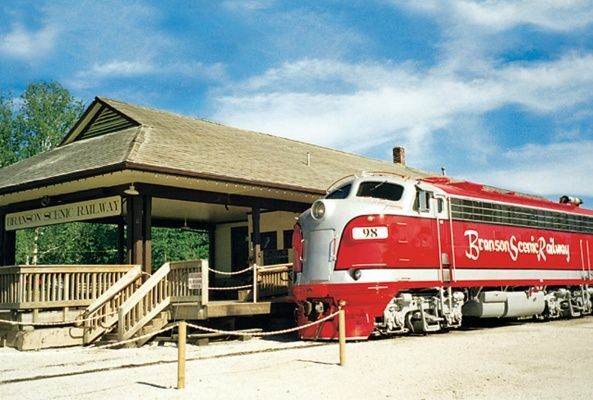 You can enjoy a scenic ride or a four-course candlelight dinner excursion, departing from the historic 1905 depot in downtown Branson; scenic tours take about one hour and 45 minutes, while the dinner excursion is two hours and 15 minutes. 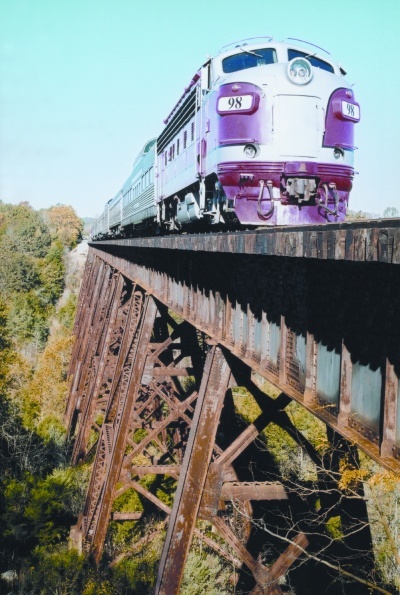 You’ll enjoy viewing wildlife and sights not accessible by car, including old abandoned communities only found on railroad maps, and beautiful Ozarks’ views. A lively narrative will point out landmarks as you travel through tunnels, over trestles, and through the countryside for about twenty miles. With unassigned seating, it’s fun to explore the different cars, including three domed cars; all passengers are invited to explore the train! 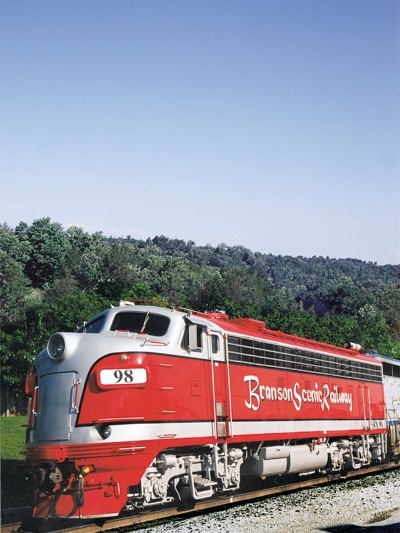 The vintage cars of the “Branson Scenic Railway” have been lovingly and carefully restored to offer you the same first-class experience and ambiance as railroad travelers enjoyed fifty years ago! 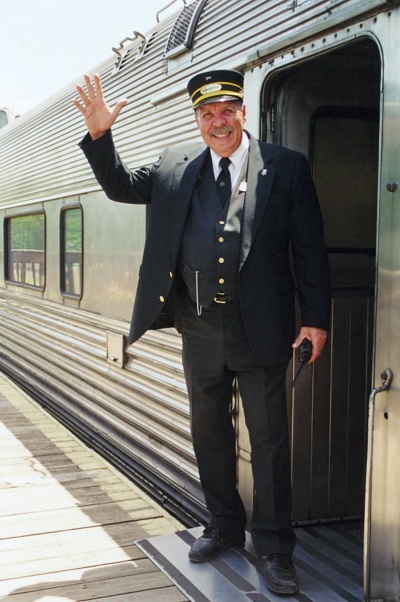 The dinner train entree choices are Prime Rib, One Half Rotisserie Chicken, or Baked Fish, served with roasted red potatoes, vegetable medley, Caesar salad, crudités, and black & white cake, served with water, ice tea, hot tea or coffee. A vegetarian meal is available, and it includes an entree, potato, side vegetable, salad, crudités, and black & white cake, served with water, ice tea, hot tea or coffee. Menu items are subject to change. 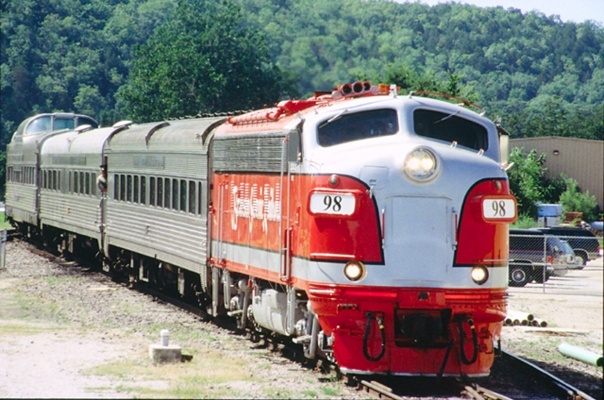 Branson Scenic Railway offers a special gift for women in the party. Please specify how many women will be attending. Chicken dinner is one-half rotisserie chicken, roasted red potatoes, vegetable medley, Caesar salad, and black & white cake, served with water, ice tea, hot tea or coffee. There is a 72hr cancel policy for dinner train. ***Please specify any mobility issues upon reservation. Branson Scenic Railway offers a special gift for women in the party. Please specify how many women will be attending. Fish Dinner is Baked Fish, roasted red potatoes, vegetable medley, Caesar salad, and black & white cake, served with water, ice tea, hot tea or coffee. There is a 72hr cancel policy for dinner train. ***Please specify any mobility issues upon reservation. Branson Scenic Railway offers a special gift for women in the party. Please specify how many women will be attending. Prime Rib Dinner is Prime Rib, roasted red potatoes, vegetable medley, Caesar salad, and black & white cake, served with water, ice tea, hot tea or coffee. There is a 72hr cancel policy for dinner train. ***Please specify any mobility issues upon reservation. Branson Scenic Railway offers a special gift for women in the party. Please specify how many women will be attending. A Vegetarian meal is available, and it includes an entree, potato, side vegetable, salad, and black & white cake, served with water, ice tea, hot tea or coffee. There is a 72hr cancel policy for dinner train. ***Please specify any mobility issues upon reservation.